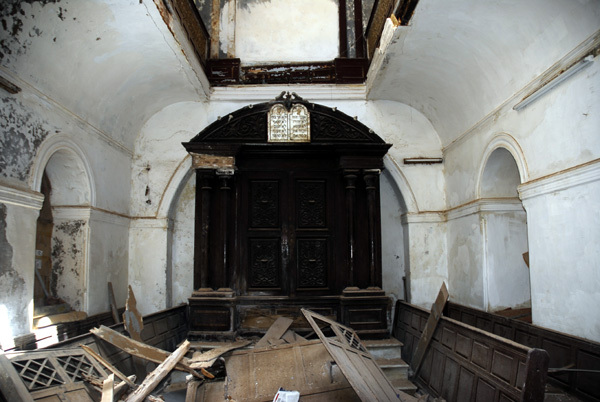 The synagogue of Rabbi Haim Pinto is in ruin. before the wall was built. 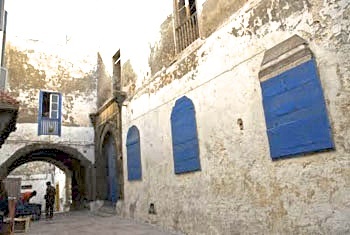 Essaouira was founded in 1765. 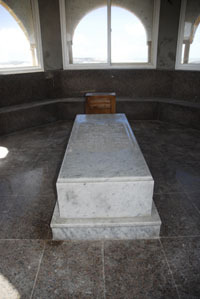 The oldest tombs date from 1776. These tombs are interesting. Contrary to Jewish tradition and Mosaic Law, they are sculptured with very marked human forms. 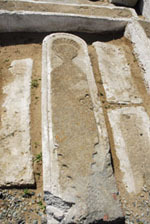 These anthropomorphic tombstones sometimes bear epigraphic inscriptions and sometimes none. These monolithic tombstones are carved out of marine sandstone. 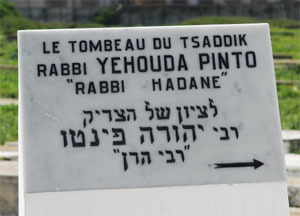 The grave of Rabbi Haïm Pinto in the old Jewish cemetary. 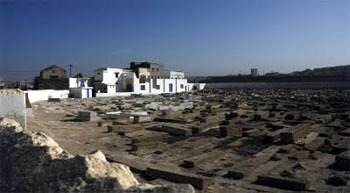 the rabbi's grave in the Jewish Cemetery of Essaouira. 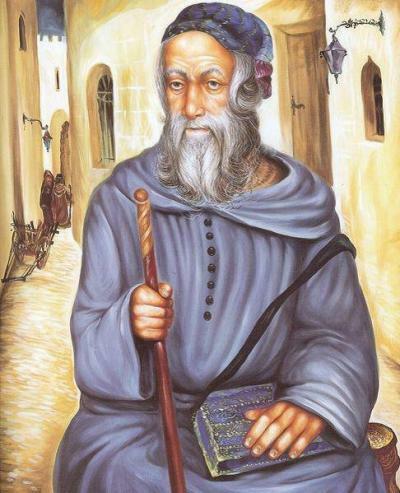 "Rabbi Haim Pinto’s reputation was so great that all Morocco resonated with accounts of his miracles and wonders, and this from his most early years." Rabbi Haïm Pinto (1748–1845) was the leading rabbi in Mogador. 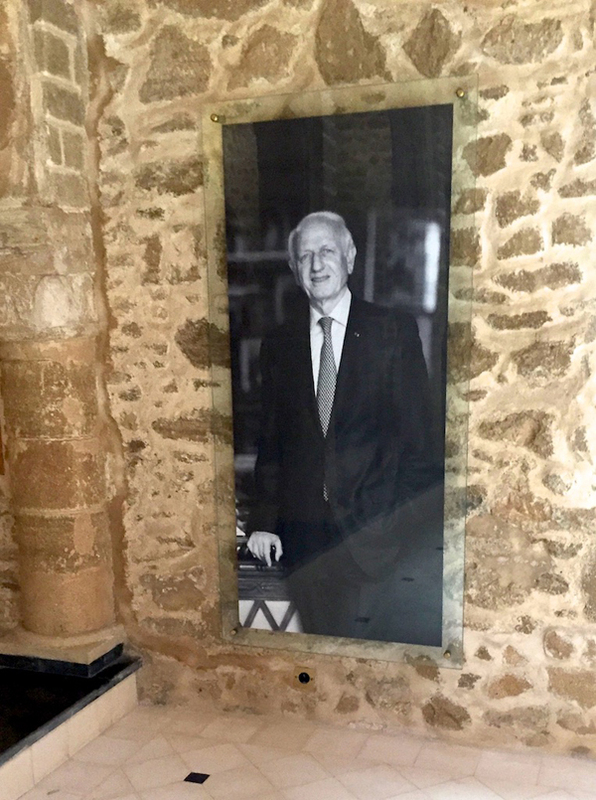 Rabbi Pinto is remembered as a man whose prayers were received in heaven in such a way that miracles resulted. (July 1, 1749), on the Hilloula of Rabbi Haim Ben Attar. 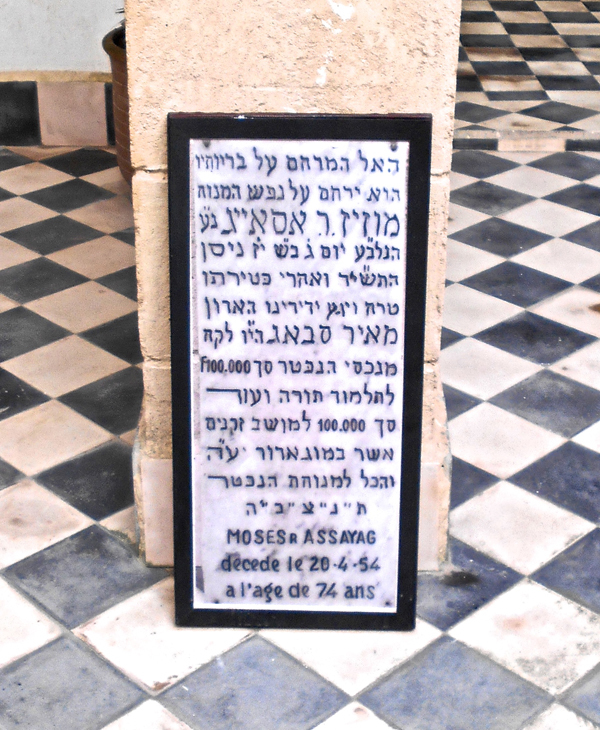 He was the son of the saintly and venerated Rabbi Shlomo Pinto Zatzal, the descendant of Rabbi Yoshiyahu Pinto, known by the name of the Rif of Ein Yaakov. Rabbi Shlomo Pinto Zatzal instructed Torah to his son, Rabbi Haim Pinto, when he was very young. 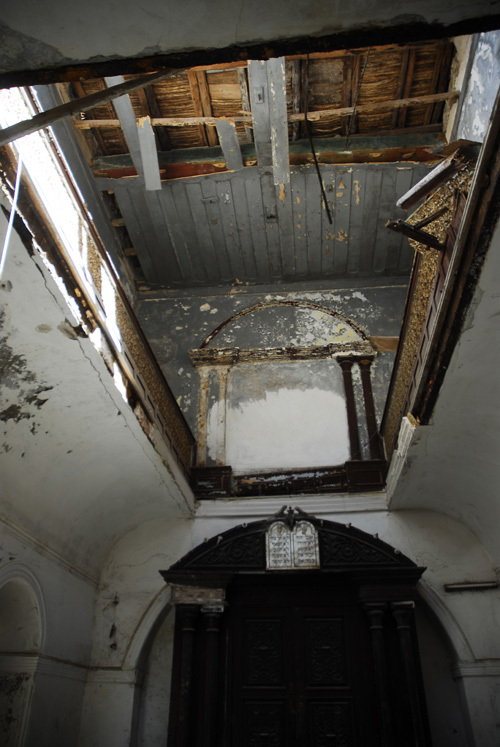 Unfortunately, Rabbi Shlomo Pinto passed away in 1761, leaving behind him an orphan barely 12 years old. 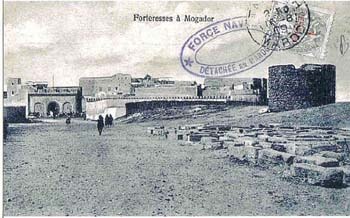 That same year (1960), an earthquake completely destroyed Agadir, and numerous Jews fled and settled in Mogador (Essaouira). 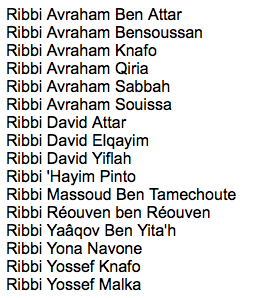 Rabbi Haim Pinto was to be found among the refugees. " 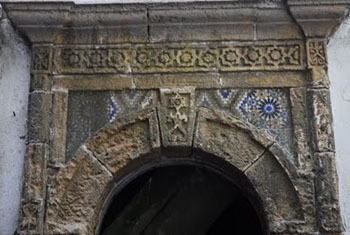 The entrance to the Chaim Pinto Synagogue in the Mellah. 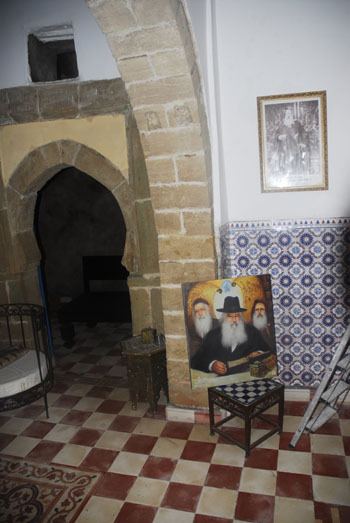 Died 28 September 1845 at the age of 96 years, Rabbi Haim Pinto has been able to achieve one of its great and noble dream in Essaouira. 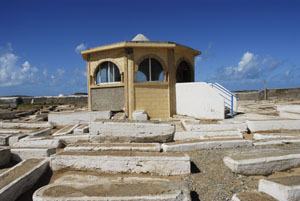 The construction of a synagogue in which he spent much time in prayer to God and taught the Torah. On the ground floor the home of Haïm Pinto and the synagougue at the first floor. 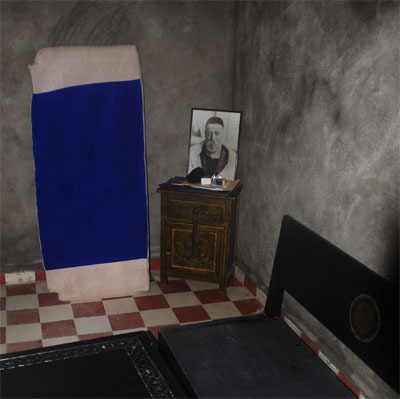 The most symbolic subject in that synagogue is a blue wooden cabinet, called an Ark, holding scrolls containing the Five Books of Moses. It dates back to the 1800’s. 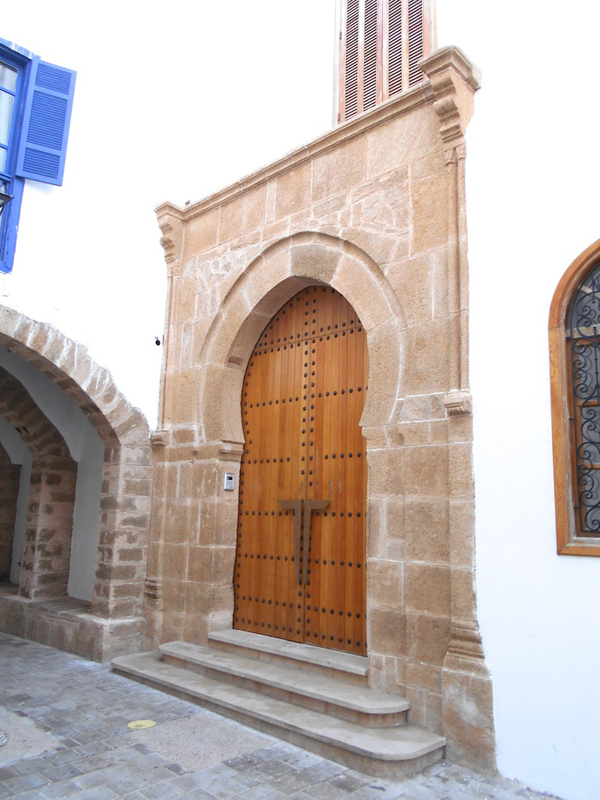 News: The Slat Lhakhal synagogue in Essaouira, lovingly restored by Haim Bitton. The inauguration will take place on 26 October 2017 during the Andalousies Festival. 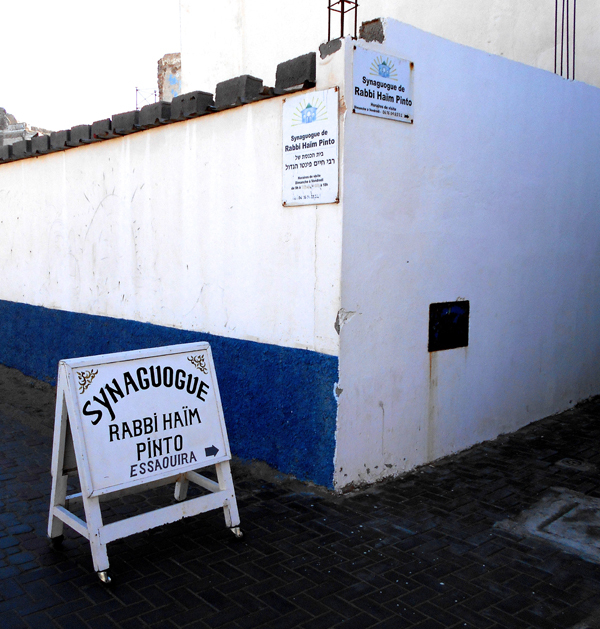 ASL-Mogador ( A nonprofit organization with the goal of restoring and preserving the Synagogue “Slat Lkahal”, a Jewish Heritage in Mogador (Essaouira). 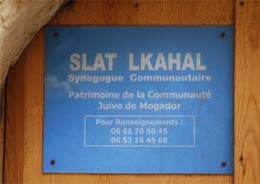 The Slat Lkahal synagouge opens again after 6 years of restauration. 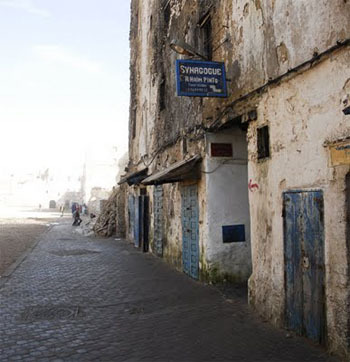 In Rue Laalouj in the Kasbah, we find another Jewish historical site. 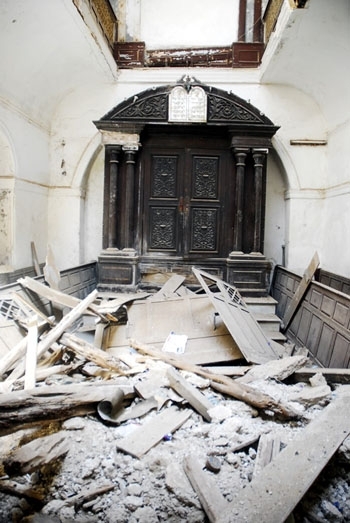 It is the Simon Attias synagogue. 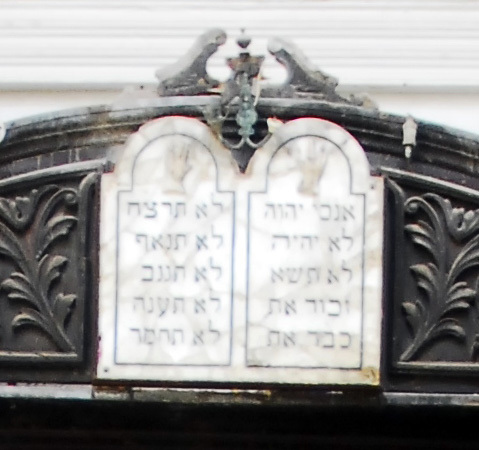 The synagogue was built in 1882. 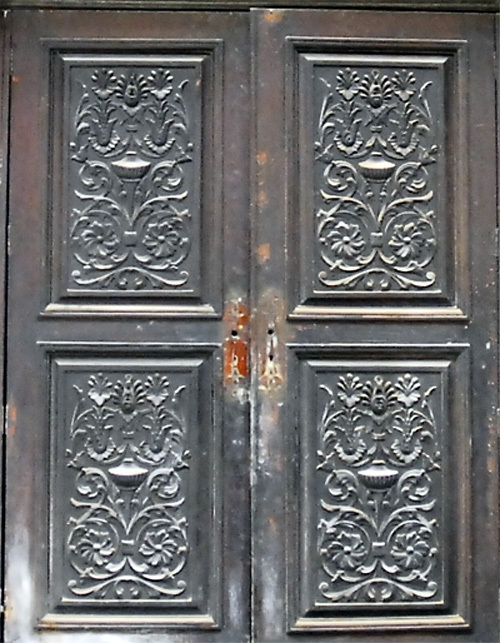 Today the door is locked and the windows covered with bluepainted boards. Unknown for most, hopefully waiting for restauration. The building covers an area of 400 m2 patio in the centre. 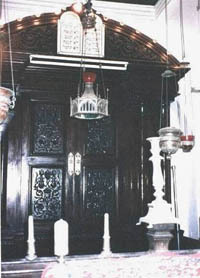 The main prayer room is split into two levels with a space dedicated to women: a mezzanine was set up on three sides of the prayer room for them. 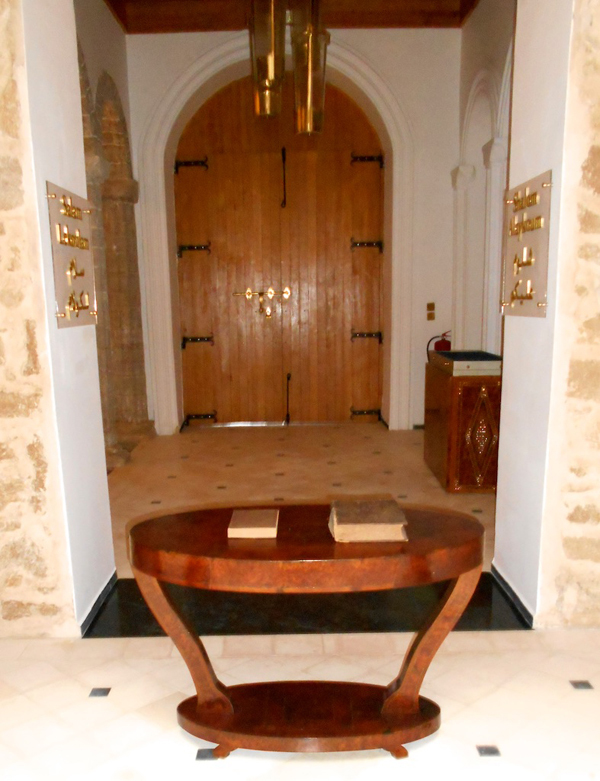 The wooden altarpiece or arch (heikhal) is carved Victorian styleas it originated from Manchester during the times of intense trade between Essaouira and England. 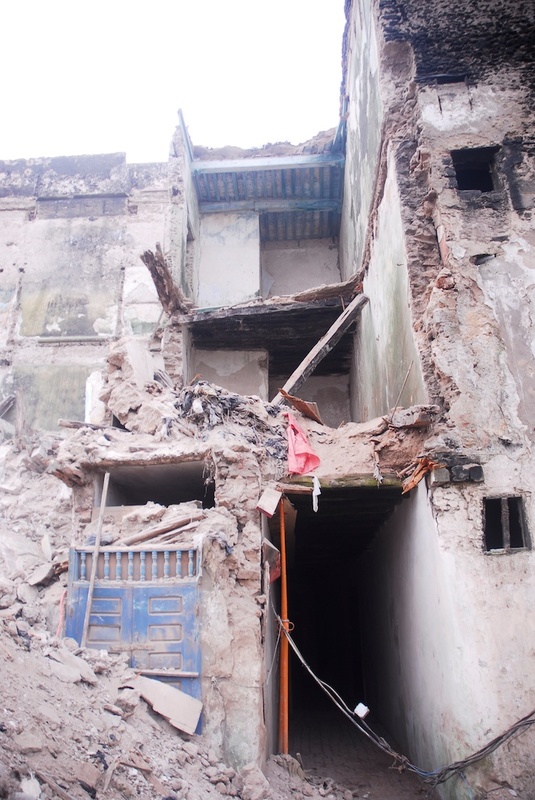 A restauration project has begun - maybe the future museum of Judaism in Essaouira. 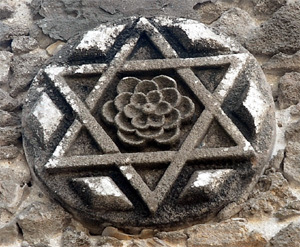 Star of David with a flower in the middle. 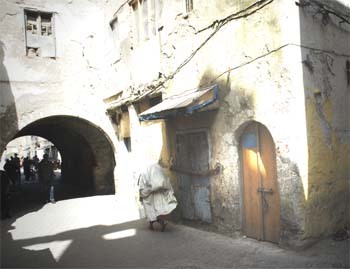 to the point that some of the richer Jews did not even live in the mellah. 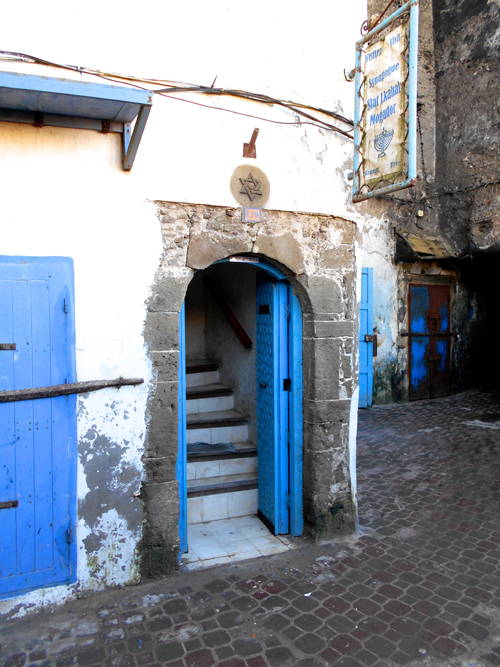 in the village Aît Bayyoud (Essaouira province). 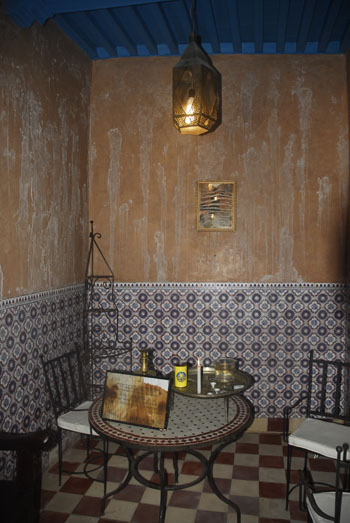 mostly originate from Essaouira , living abroad. 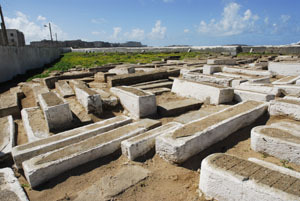 Ait Biyoud (Meskala) is situated about 40 km from Essaouira. 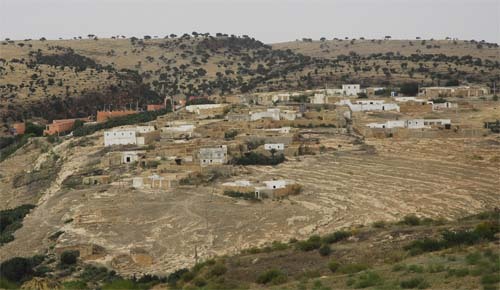 in the village of 'Aît Bayyoud (Ait Bayoud, Ait Bayyoud, Ait Bayot). 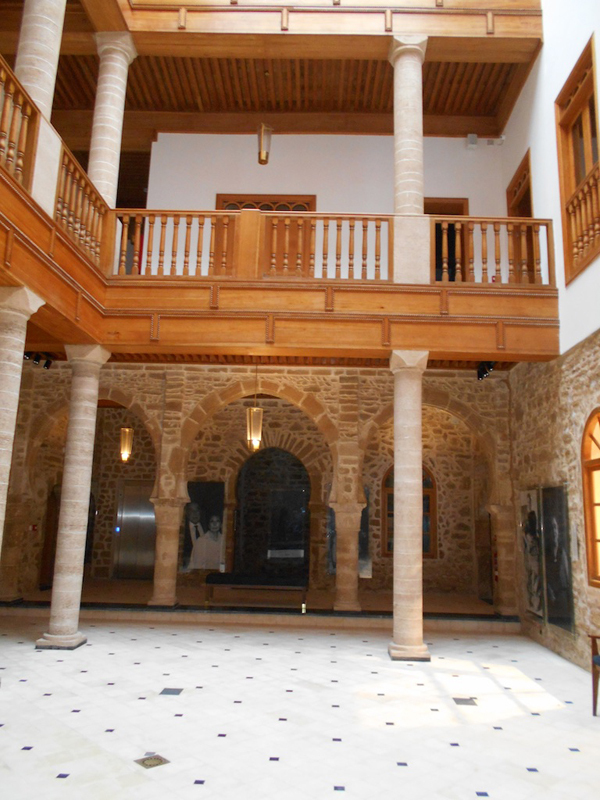 It is situated about 40 km south east of Essaouira. Locate on map below!